This week I had originally planned to do a saison tasting, but a trip to Save Mart changed my plans unintentionally. Surprisingly, they had a 6 pack of Drakes 1500 (not featured here)…then I also noticed a Deschutes Fresh Squeezed IPA. Once I had 2 six packs, another 2 weren't a big deal, so I also got a pack of Ranger IPA and Extra IPA, both of which are famous, easily attainable IPAs that I haven't tried yet. And so the IPA tasting session #2 was born. I've already done another IPA tasting, but here in California, we've got a huge range these, from large and small breweries. I'm actually quite proud that our state has a very distinct style and beer culture unlike any other place in the world. This also gave me an excellent excuse to make use of my awesome new IPA glasses. BTW, I've also got an idea to do a session IPA post as well, which are getting very popular as of recent. There was a very strong, bright hop aroma. This was definitely an IPA! But I was surprised by a very distinct, sweet, almost bubble gum like flavor. I've heard of bubble gum off flavors as well as some that weren't off flavors. I'm not sure if this aroma was intentional or not. This was a very drinkable beer, and was very much on the sweeter end of IPAs. I tend to prefer drier. There was no initial bitterness, but plenty came though on the back end. Similar to the gum aromas mention above, I feel like there were some candy-like qualities to this beer. Mosaic is the first born child of Simcoe. Some have described it as Citra on steroids, but it’s much more than that. Rich in Mango, lemon, citrus, earthy pine, tropical fruit, herbal and stone fruit notes. I agree with clean bitterness (not lingering), but feel that citrus flavor is not that strong. Perhaps I associate the bitterness from citrus flavored hops with the typical dry, West Coast IPA. The hop aromas were strong, but based on flavor alone, I wouldn't have called this an IPA…maybe a dry hopped ale or something like that. It didn't' really have dry hopped flavors, but you get what I mean. Yes, Lychee! That is dominant flavor in this beer – a kind of subtle tropical fruit flavor. After reading some notes from other drinkers, I agree that there are some pineapple and melon characteristics to be found. But some of these guys just list random tropical fruits, and I still can't figure out how they pick out all those flavors. Trying this beer a 2nd time (I bought a 6 pack, so more updates to come), I noticed that at a colder temp, it had much more of an IPA quality. It was still mellow as far as IPAs go (not much bitterness or aroma), but I enjoyed it a lot more the 2nd time around. It starts with a strong, fruity hop aroma. Compared to the other brews listed here, it has a very distinct aroma profile. I would say that ‘piney' is the defining aroma here – there's something very earthy and foresty going on here. The taste definitely matches the aroma – piney. It's not really listed on the bottle though, so I may be way off base. This was actually the first IPA I drank when I returned to the US after 10 years abroad. I found it hard to drink because it was so damn bitter. Now, I think I'd rate it my #1 choice of these 4 beers. Lagunitas has created a very hoppy beer here, well balanced, but still on the overly hoppy side. Dry, but not too dry. 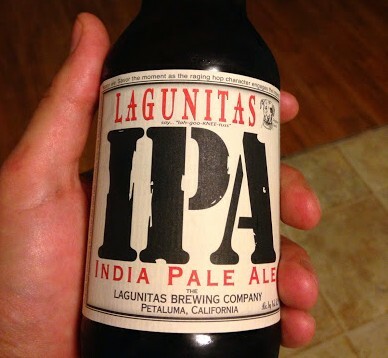 Lagunitas IPA was our first seasonal way back in 1995. The recipe was formulated with malt and hops working together to balance it all out on your ‘buds so you can knock back more than one without wearing yourself out. Big on the aroma with a hoppy-sweet finish that’ll leave you wantin’ another sip. There may also be some citrus hop flavors along side the piney ones. Hop aroma seems more subdued on this one, perhaps because more malt is coming through on the nose. I could already smell that this is going to be a higher alcohol, maltier beer. Yup, higher alcohol, more malt balances the higher bitterness as well. It's not quite a double IPA, but bigger than anything else in this tasting session, and on the higher end of what the style guidelines say. I'd say the hop flavors that come through most are citrus and floral. I don't really get the tropical fruit flavors they claim on the website, but maybe I'm just identifying that as maltiness and mixing it up with those sweet flavors. There's a nice lingering bitterness as well. I feel that sweet beers tend to have more body and don't lend themselves to longer drinking sessions. I could definitely have a couple of these. 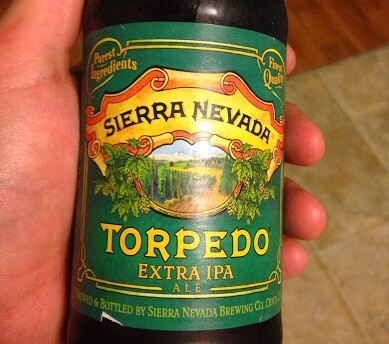 Torpedo Extra IPA is an aggressive yet balanced beer with massive hop aromas of citrus, pine, and tropical fruit. Drinking at a colder temperature really brings out the hop bouquet. 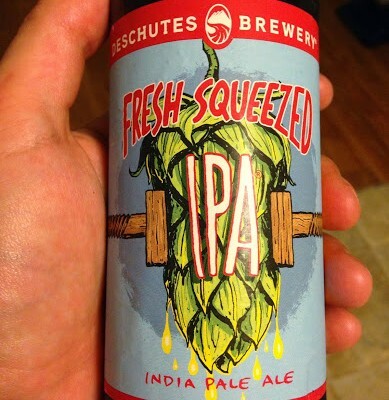 This is my 2nd IPA tonight, (that Deschutes above was the first), and hops on this one seem a lot more complex. There were some really strange aromas coming through on this one. It was also my 4th beer to sniff, so that may have confused the sensory experience. I got citrus and pine notes which are normal, but there also seemed to be some kind of off flavor which may have been sulfurous. There was something quite different from the other three and I couldn't tell if it was intentional or not. The lightest body of the 4, the Ranger IPA also had a sharp bitterness. Drank alone, I think this would be an awesome beer. Not all beers blend well during tasting sessions! One of my all time favorite beers, Raisin Hell from Delicious Science is a testament to this. Drank alone, it's perfect, drank with other beers, you start to pick out odd flavors. As far as hops go, I'm getting citrus, floral, and maybe some herbal flavors. I definitely got some dry hop flavor from this – that kind of plant matter flavor. Personally, I think it was tasty but I'm not sure if this is a negative flavor to pick out. The sulfurous aroma seems to have died away or became more subtle. As I drank more of this beer and allowed my taste buds to acclimate to the flavors, the bouquet of hop flavors became more apparent. Warmth may have contributed to this. I can now see some earthy, natural, piney flavors coming through. Did they use whole cone hops in this beer? I may be hop superstition that whole cone hops have different flavors than hop pellets, but perhaps this is where that ‘leafy' dry hopped flavor is coming from. There's definitely some danikiness in this one…drinking it after a Anchor IPA was quite revealing. The hops in this one really pop. My #1 pick from the bunch is definitely Lagunitas IPA. 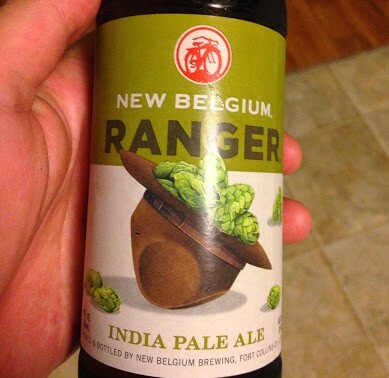 #2, surprisingly, is Ranger IPA despite some weird aromas at the beginning. Torpedo ranks #3, and though Deschutes has a great beer here, it just wasn't what I expected. Great post – I never get tired of reading about beer! I thought I would have my own “American Ale Tasting Session” this evening. I have never really considered American Ales before now as I always associated the US with rather uninspiring fizzy lagers. 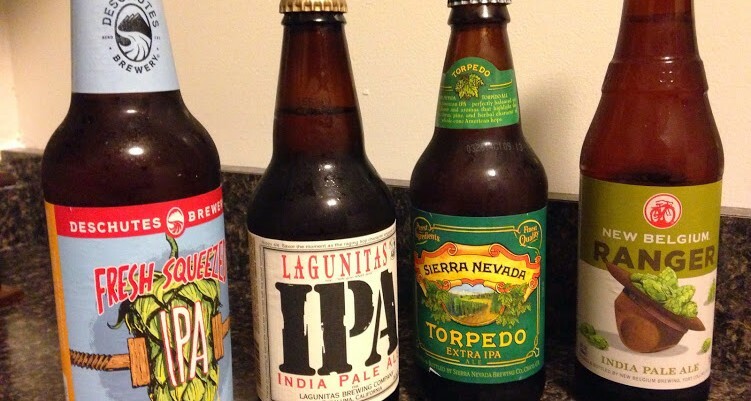 So, I tried the Sierra Nevada Pale Ale and was very pleasantly surprised. Now, I don’t really have a sophisticated beer connoisseur’s vocabulary, but it was surprisingly complex in taste and had a nice balance of bitterness and zingy citrus notes. I wouldn’t say that it was an ale that I could consume lots of in one sitting, but perfect for savouring a single bottle at the end of a hard day’s work. I also tried the Samuel Adams Boston Beer tonight and would say that I could happily drink a few more of those than the SN Pale Ale in one sitting – it was very smooth and easy to drink. Overall, I am genuinely surprised by the quality of the 2 American Ales that I tried tonight and I will certainly be interested to hunt around for a few more. Unfortunately, many of the American craft breweries I write about here on the site just don’t have international distribution! Keeping quality high and steadily growing a major challenge. I’m definitely interested in knowing what other ‘good’ American beers you can find in the UK. I’m pretty surprised you were able to find a Sierra Nevada Pale Ale. Sometimes specialty bottle shops will have better selections than grocery stores, so keep your eyes open! Founders All Day IPA is best.